Failure. It can stop you in your tracks by pulling the wind from your sails. It can be so difficult to bounce back when something doesn’t go to plan. Here at Cherish, if something doesn’t work we have to get back on our feet fast – rethink the idea and take a different approach. We pull the team together and get creative. Most of the time, what didn’t work initially leads to something better – that out-of-this-world piece of coverage or unconventional campaign that took off and made a splash. We know failure can lead to great things. Failure doesn’t mean it’s over, in fact, some of the most successful people in the world have failed. Many well-known celebrities, business owners and billionaire entrepreneurs’ credit failing as their breakthrough moment. Failure can teach you some invaluable life lessons and change your path for the better. When Walt Disney was fired from the Kansas City Star, his editor said he ‘lacked imagination and had no good ideas’. 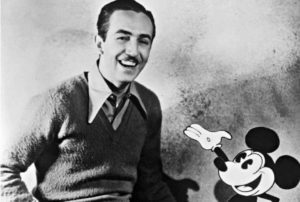 It took Walt Disney many further failed jobs, and business attempts before his career took off after releasing Snow White. Disney went on to redefine childhoods across the globe, and today the Walt Disney Company hold assets worth over £69 Billion. Most famously quoted, Walt Disney said, “it’s kind of fun to do the impossible”. 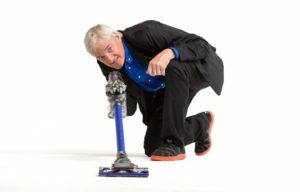 Sir James Dyson is a household name. However, it took the inventor thousands of attempts to perfect his vacuum design – he went through a whopping 5,126 prototypes before arriving at the finished product that made him a multi-billionaire (he is currently worth £7.5 billion!) Each failed working prototype gave James Dyson the ideas for his next until one of them finally succeeded. Without those failures – and his perseverance – we wouldn’t have the fantastic Dyson technology we know today. Growing up Vera Wang dreamed of being a professional figure skater, and representing the US in the Olympics and she worked hard for that dream. However, after not making the US Olympic team in 1986 she decided to change career path. After scoring a retail job at a Yves Saint Laurent boutique in New York, Vera went on to work at Vogue and start her fashion empire. It was this early disappointment that drove her to succeed. In an interview with Business of Fashion, she said, “When you fall down, which you have to if you want to be a skater – you pick yourself right up again, you don’t let anything deter you”. In a Newsweek interview in 2011, Paul Allen said: “every failure contains the seeds of your next success”. In the early 1970’s, Paul Allen and Bill Gates started a technology business called Traf-O-Data. Sadly the duo was unable to get local governments to invest in their new technology, and it ultimately closed. However, this failed business sparked the idea that eventually becomes Microsoft, a global technology company and household name, worth over £220 Billion! Madonna is one of the most iconic pop stars on the planet. As she heads towards her 60th year, she can reflect on 300 million album sales and enjoy her 590 million dollar net worth. It wasn’t always plain sailing for Madge, after relocating to New York in the ‘70s with dreams of a dance career. Music was Madonna’s second choice after dancing didn’t work out, and she faced many dead ends and closed doors before a label gave her a chance. Most notably she was rejected by Millennium Records who famously said she ‘lacked material’. Four years later Madonna had a number one hit with ‘Material Girl’… now that is what you call turning failure to fuel! The iconic author was so frustrated when writing Carrie, he threw the whole first draft in the bin. Luckily for us (and for the author), his wife Tabitha found the manuscript in the rubbish and took it out, encouraging her husband to give it another go. ‘Carrie’ became a cult classic and launched the author to stardom. Stephen King has now sold over 350 million copies across the globe. He is famously quoted for saying, “either get bust living or get busy dying”. Jay-Z – probably most known on global music charts – is reportedly worth over 810 million dollars. He is one of the most successful producers in the world and one half of a high profile power-couple with his wife Beyoncé. But starting out his career Jay Z didn’t have it easy. As a young hip-hop artist, he sold his first CD out of the boot of his car in Brooklyn when a label wouldn’t sign him, something that inspired him to start his own label. Jay-Z has been quoted saying, “I will not lose, for even in defeat there is a valuable lesson learned, so it evens up for me”. If things are not working out the way you had planned, don’t despair – even some of the worlds rich and famous have been down and out. Remember that failure doesn’t mean it’s the end, perhaps just time to change paths or try something a little different. That path could be the one that leads to unimaginable success. Failure can be golden.